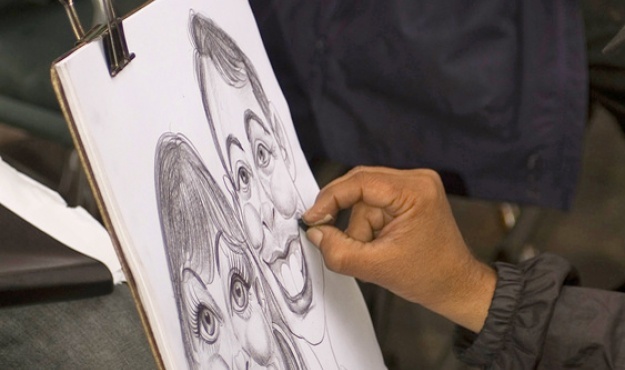 Armed with just a sketchpad and a pencil, the cartoonist starts to outline the facial features of the first person he/she comes across. Guests will hardly have the time to turn round before their fissog is immortalised in black and white, in true caricature style. Your silhouette appears from a single sheet of paper when the paper-cut artist magically wields his/her scissors, skilfully cutting and honing to reveal the pièce de résistance - your profile! Meandering amongst the guests, an artist captures perfectly the mood with an atmospheric, on-the-spot sketch… a fitting memento of a memorable event.